Pakistan has in principle decided to restore NATO supplies after six months of suspension to get the much-awaited financial assistance from the US as the PPP government prepares to present its last budget before the general elections. 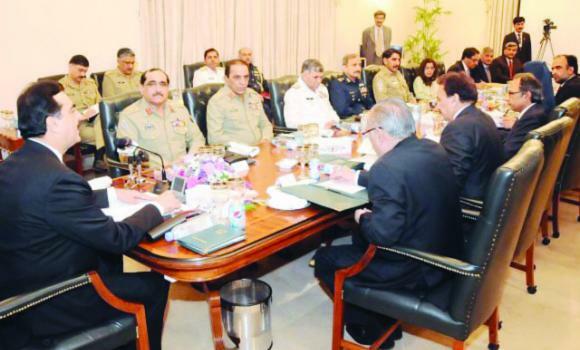 After getting the go-ahead, the Defense Coordination Committee and the Federal Cabinet formed a committee to finalize modalities for new terms of engagement with the US while keeping the army on board. Ayaz Wazir, a former senior diplomat and an authority on Afghan crisis hailing from Waziristan, believe that all the stakeholders were not on the same page and that was the main reason for the delay in the restoration of supplies. The government also involved the army in the decision-making. “Our rulers have accepted the issue without giving it a second thought, with the army joining them,” said opposition leader in the National Assembly, Chaudhry Nisar. Last week’s announcement by the NATO secretary-general not inviting Pakistan to the Chicago summit proved to be the turning point and forced Islamabad to review its policy. Many analysts believe government’s reliance on foreign aid for budgetary support forced it to open NATO supplies as US has agreed to release nearly $ 3 billion as part of the deal. “Talks are continuing and both sides seem ready to address each other’s problems and that’s why US agreed to immediately release $1.5 billion from the Kerry-Lugar aid plan and $800 million from the Coalition Support Fund to help the staggering Pakistani economy,” analyst Javed Siddeeq told Arab News. Defense of Pakistan Council, an anti-government alliance may not be in a position to stop once the supplies are restored. “They have created much hype and there is a possibility that there can be some sporadic incidents of attacks as it happened in the past but Pakistan will ensure the complete safety of NATO trucks as part of the deal,” said Javed Siddeeq. Islamabad has signaled President Asif Ali Zardari will attend key talks on Afghanistan in Chicago on May 20-21, after a last-minute invitation from NATO. The country shut its Afghan border crossings to NATO supplies on Nov. 26 after US airstrikes killed 24 Pakistani soldiers. Now Pakistani and US officials are locked in talks to finalize a deal on again allowing thousands of trucks and oil tankers to carry non-lethal supplies from the southern port city of Karachi to landlocked Afghanistan. Asked if there was any deadline for the talks, Information Minister Qamar Zaman Kaira said: "There is no deadline. All departments have been asked to conclude their negotiations in the quickest possible time." 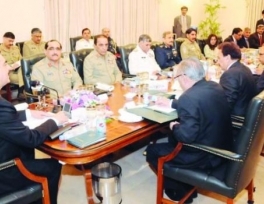 The Cabinet on Wednesday welcomed NATO's invitation to Zardari, clearing the way for him to travel to the May 20-21 summit, and it is thought unlikely he would be willing to risk the wrath of Western leaders if the supply lines have not been restored.